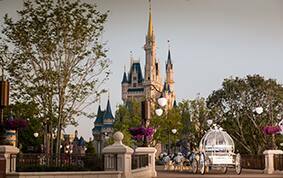 In the heart of Disney's Magic Kingdom lies a lush garden with a picture perfect view of Cinderella Castle. 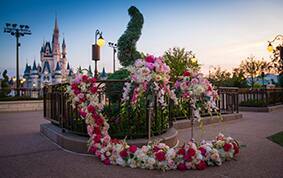 Add some seating, charming décor, and a little bit of pixie dust and voila! 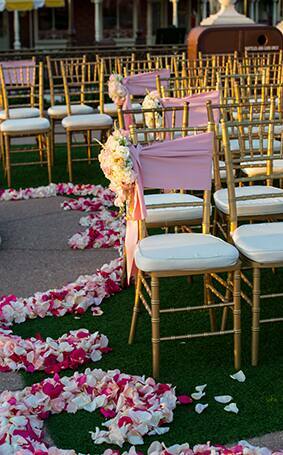 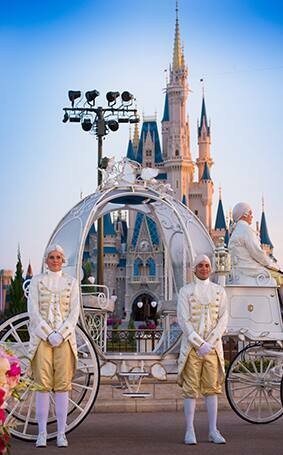 You have a wedding ceremony venue that is a real-life fairy tale. 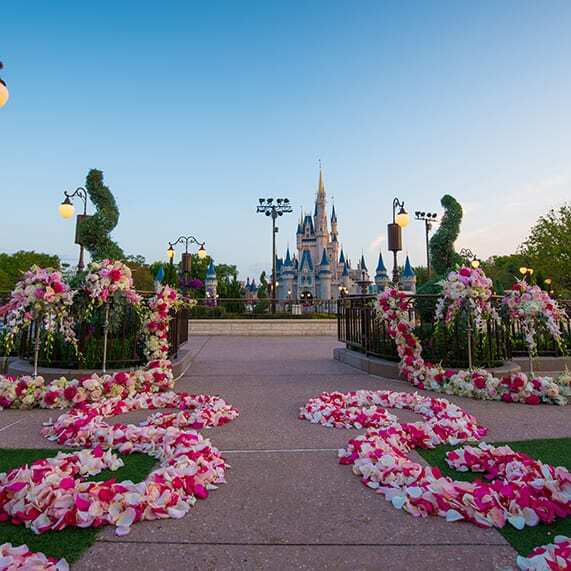 The East Plaza Garden at Disney's Magic Kingdom is a venue like no other where you can now say your vows with your beloved sweetheart in the ultimate fantasy setting. 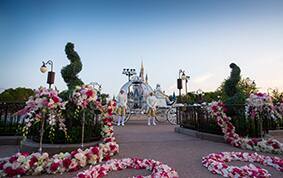 Located at the end of Main Street U.S.A., the East Plaza Garden provides the perfect setting for a ceremony fit for royalty. 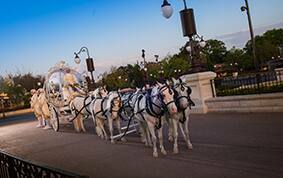 Not only does Cinderella Castle provide a stunning backdrop for your nuptials, but you can arrive to your ceremony in style with Cinderella's Coach and for your wedding party a classic turn-of-the-century Main Street Vehicle. 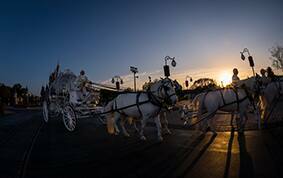 With Disney Fine Art Photography capturing all the special moments of your ceremony, it will surely be a wedding you will never forget. 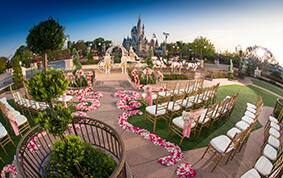 If you've been dreaming of "I do" at the Happiest Place on Earth, look no further! 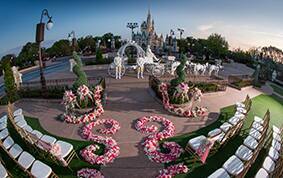 Ask your Disney Wedding Consultant for more details on how to make this fairy tale ceremony at East Plaza Garden a reality. 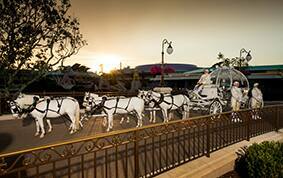 When will this be available to book?